Something to mull as I continue working. I’m giving a demo and presentation for the Fine Arts Society of the Southern Tier on Monday, and I’d like to have this finished, or nearly so, for that. 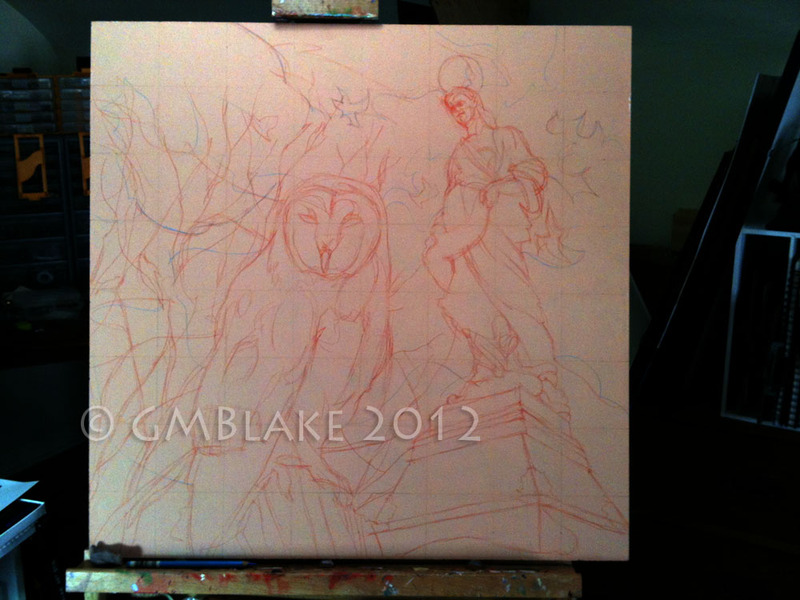 Owl and Stone Goddess - stage 2: I've corrected the proportions of the goddess' face, and firmed up the owl, added a bit to the tree. 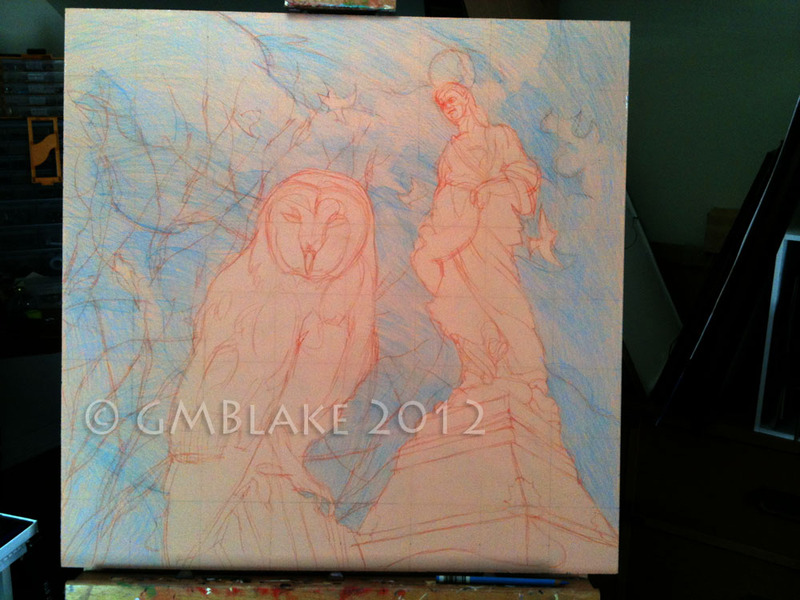 Owl and Stone Goddess- stage 3: blocking in shapes in the sky and determining some of the visual flow with stroke direction. This is the stage where I begin to discover the purposely accidental textures left in the painted ground -- elements I'll have to work with throughout the process. 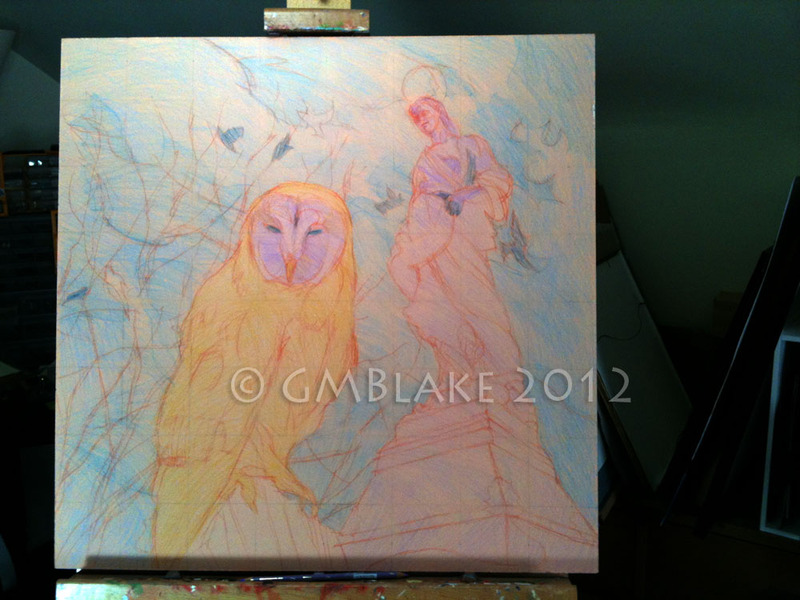 Owl and Stone Goddess - stage 4: pulling out the pattern of small darks -- birds, owl's eyes and facial center crease, and shadows in the goddess figure -- and laying down midtones in the figures. Wondering if I should add a third major figural element; I thought it'd be the tree, and it might yet... or a cat in the tree? Too corny? Cursing myself for using graphite for the initial grid.